Join the George Mason University Women’s Soccer College ID Camp. It is a 2-day soccer clinic from July 8 to July 9. It is open to all girls 14 to 18 years old. The event is an ideal venue for excellent players who aspire of playing at the collegiate level to show their skills. Moreover, this college ID camp will take place on the George Mason University campus. The camp will give a college level training and competition atmosphere experience to the participants. It will also enhance the participants’ technical and tactical understanding. The nature of the whole event will be fun and competitive. Ultimately, all the sessions and instructions are under the supervision of the George Mason University men’s soccer coaching staff. The university’s current players will also attend to provide assistance. George Mason University is a public, coeducational, research university in Fairfax, Virginia. It has other campuses in Arlington, Front Royal, and Prince William. In addition, it also has a campus in Songdo, South Korea. The university is a member of the Association of Public and Land-grant Universities. It is also part of the Oak Ridge Associated Universities, as well as, the Southeastern Universities Research Association. The university has an accreditation from the Commission on Colleges of the Southern Association of Colleges and Schools. It one of the nation’s leading academic institutions. As a matter of fact, it is 140th in the National Universities, 2018 edition of Best Colleges rankings. The universities total student population is around 34,900. This includes around 23,800 undergraduate students and 11,100 postgraduate students. In athletics, George Mason University fields 22 intercollegiate sports teams in the Atlantic 10 Conference of NCAA Division I. They are the Patriots. Leading the camp is George Mason University women’s soccer head coach Todd Bramble. He is a Mercer University business management graduate. Then, helping Coach Bramble are assistant coaches Emma Thomson and Dirk Vandeveer. Coach Dirk Vandeveer is at the same time the team’s recruiting coordinator. Also part of the Patriots’ women’s soccer coaching staff are Erinn Black, the student assistant coach, and Alex Myers, the volunteer assistant coach. 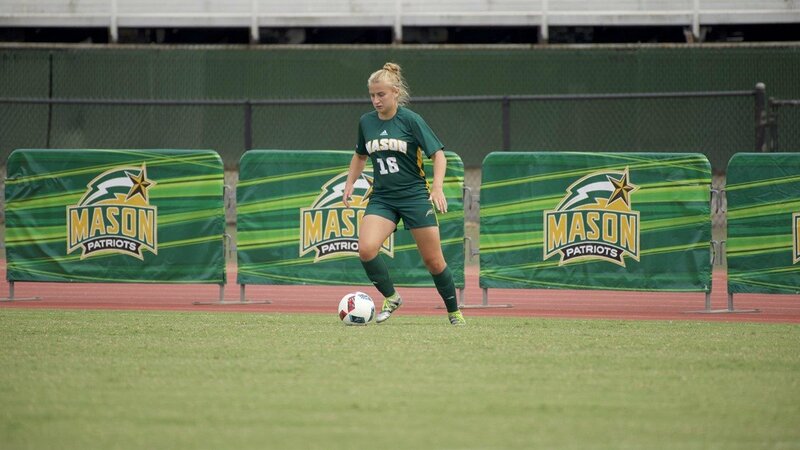 Join the George Mason University Women's Soccer College ID Camp. The nature of the whole training program will be fun and competitive.